Wedding City Antalya host 4 Indian Wedding with project partner and supporters. Wedding City Antalya introduce Mr. Arun BABLANI from dubai , Mr Vaibhav Agherval and Miss Anushree Agarwal from India, Mr, Vinay Audipudi from England ; the Antalya city and the hotels that able to hold a Indian Wedding. 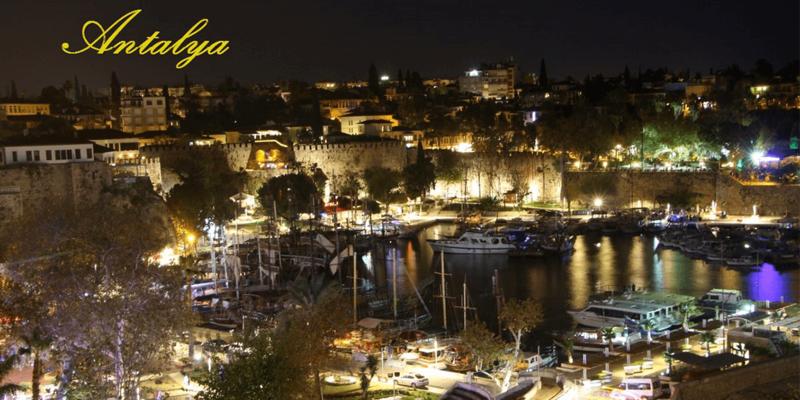 Wedding City Antalya demo program does not only contain Hotels ; involving Archaelogicals sites, Oldtown marine , Antalya Aquarium and Olympos cableway. Wedding City Antalya General Manager Gülseren Özdemir make a statement for the situation, We undertsand deeply what the Wedding Groups desire from us and with plesant relations we improve ourselves for Indian Bazaar. Wedding is so important for Pakistani and Indians that streching for imagination traditional Themed- Wedding last 3 days and 3 nights . every parent want best for their children at the rate of financial possibility . We surprized with the presentation Indian Wedding Organizators with colorful, plentiful wedding proposals and Wedding Halls. Wedding City Antalya General Manager Gülseren Özdemir states , Indian Weddings generally exulting between October-March , Pakistani and Indian weddings spread the Wedding Tourism all year . Thats why If culture and tourism ministery, ministry of communication provide support Wedding Tourism; this bazaar will develop spread like a wilfire. Because Wedding Groups fly indirect and long period of time. Wedding Group brings the Traditional Wedding Clohtes and objects (staff) ; so they dont want to take the risk about transfer from plane to another plane. Unfortunately sometimes we lost the Wedding Groups for 400-500 people. We contact with 650 Indian Wedding Operator positively. We create a Service Wedding Group with 10 important hotel partner. Our Firm Wedding City Antalya and solution hotel partners lodge all the Indian Wedding Operator with through our own opportunities with team work. To develop this bazaar , Ministries have to support Wedding Tourism like Health Tourism and Golf Tourism . Wedding Tourism is high value added sector that continue 12 months and an another alternative tourism , this studies offer a bussines opportunity. General Manager Gülseren Özdemir says, target to reach more Wedding Groups , offers appropiate accomodation and weddings for all budget . Indian Wedding Groups get economic price from Sri-lanka and Thailand because fly distance is not too much . V.I.P. Wedding Groups prefer to go Europa and Dubai . Indian Wedding Bazaar route map determined previously . Significant Firms who doing Wedding tourism have get a share of the cake from Wedding Bazaar . Our Firm Wedding City Antalya and important 5 star hotels partner planning to have get a share of cake with best price and best service with increasing the number of weddings. As a result of R&D studies for 4 years , we have been planning different strategies and different plans to become constant Indian Wedding Tourism in Antalya. ‘’ Indian wedding groups are getting very economical proposals from Sri Lanka and Thailand and Indian wedding groups are choosing these destinations as flight distance is much more closer. Wealthy Indian families prefer to got to Europe or Dubai. Wealthy couples that are going to get married create large budgets for their weddings. We slowly started to change this situation. Turkey can not get enough from this market. If we introduce our 5 star hotels better and give qualitative service, we can get more shares from this market. ‘’ Ozdemir, who makes introduction works in different countries around the world on marriage tourism with the support of Culture and Tourism Antalya Provincial Directorate, expresses that Antalya is much luckier than other rival countries with its natural beauty.